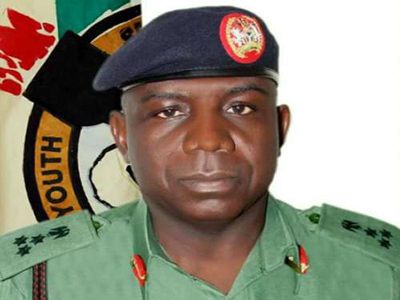 MAJ.-GEN. Suleiman Kazaure, the Director-General, National Youth Service Corps (NYSC), on Tuesday warned corps members against accepting gratification during the conduct of the general elections. Kazaure gave the warning at Kaltungo while addressing corps members who are to serve as Independent National Electoral Commission (INEC) ad-hoc staff at Billiri and Kaltungo Local Government Areas of the state. The director-general, who was represented by the State Coordinator, NYSC, Mr David Markson said that any corps member found guilty would face the law and it would affect his or her future. He advised them to be security conscious and observant. Kazaure assured them that INEC and security agencies had made adequate arrangements to take care of their welfare and safety. “Several meetings were held with various security agencies in the state and NYSC local government inspectors ensured that no corps members is posted to points marked as flash points. “So, you should avoid electoral offences as they come with severe penalties,’’ he warned. The NYSC boss commended the corps members for their contribution to nation building and for accepting to serve during the 2019 general elections.